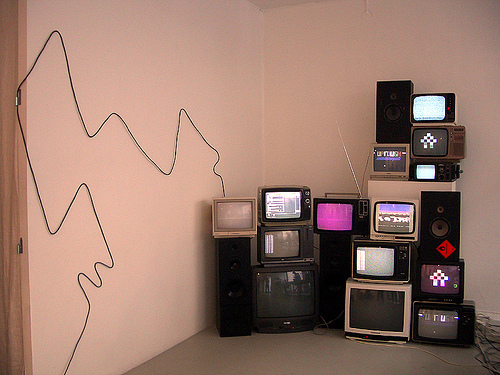 Audiovisual datajam at gallery Big Love (rip) on Hisingen Island. It was me, Dino, Yoki, Booger, Mortimer Twang and Optiroc = top notch Hack n’ Trade Up Rough data elite. So we did assembler programming, PETSCII-stuff, Deluxe Paint animations, Protracking, LSDJing, JCHing, etc. Maybe we’ll get videos online some day, here’s two photos while you’re waiting. Oh, and yes – we destroyed so much that evening. It was beautiful.